Dubai is the perfect destination for globetrotters and party goers alike. Tourists flock to Dubai expecting a wide range of engagements that can quench all of their cravings. Yacht cruises are popular and commonly approved for the simplistic yet elegant kind of experience they deliver. It is always a magical experience to cruise the seas and wander along with the waves. 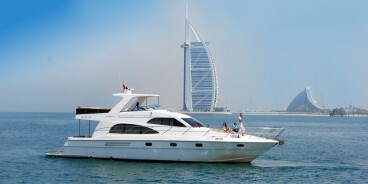 Al Wasl Yachts, a leading Yacht charter company in Dubai, with its sub-sect, the 'Cruise In Dubai' has enhanced this pleasure cruise with exciting activities on board. Fishing in the deep sea is one of the main draws of the Al Wasl Yacht Charter. There is no one who doesn’t like a refreshing and gainful fishing experience. Apart from the pleasure and excitement of catching real fish with your hands, most of the fishing enthusiasts observe fishing as a retreat from the busy and stressful days. In Al Wasl Yachts, one can have the peace of mind of fishing with the company of free going and energetic captain and crew. Even if one is not experienced or used to the knack of fishing, the captain is always willing to lend a helping hand with his wisdom in the turf. Undoubtedly one can easily catch plenty of fish because of the abundant fish resource in the Dubai sea. Even then, one does not feel missed out not knowing the exact location of fish access in the salty waters, when the Yacht is equipped with sonar fish tracking devices.